BizEx provides a free simple business valuation calculator. It requires only a few inputs, so you get the valuation quickly. The drawback of having only a few inputs is that the result can be imprecise, as the method behind the calculation is not very sophisticated. The first step is to input the required financial information to the calculator. 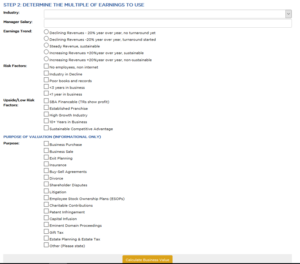 As the picture below shows, the required input contains only seven figures for last three years. The next step is to provide answers to questions about future growth, risk factors, company’s industry, manager salary, and purpose of the valuation. The results provided by BizEx calculator are prone to errors, as the input is restricted to only a few figures. 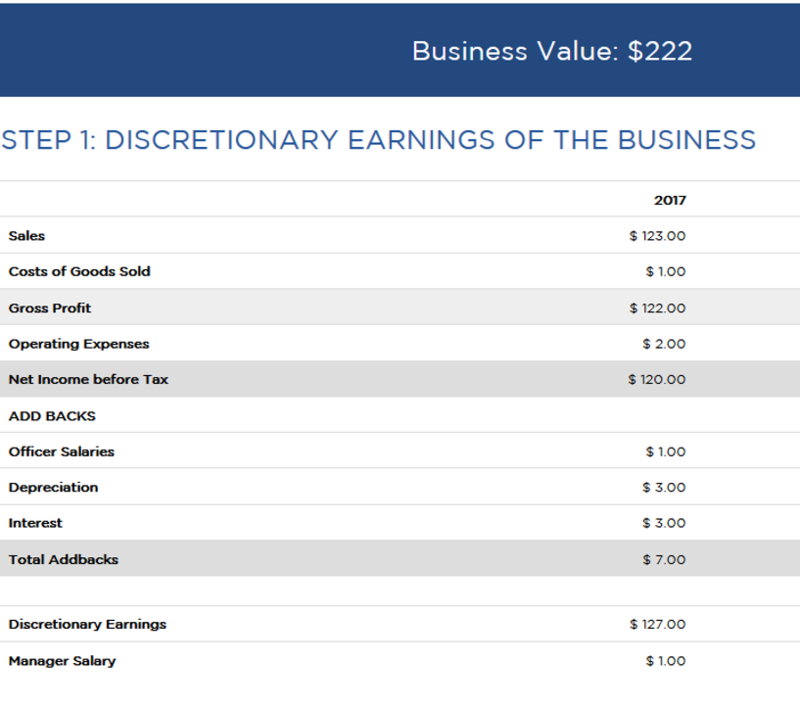 The results are easily interpreted, as the results page shows the value of the business as well as the financials of the latest input year. 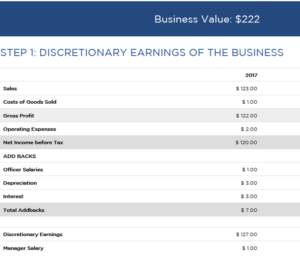 The valuation is also done in two phases: first calculating the multiple of earnings, followed by calculating the valuation ranges. The user can see how the final valuation is reached. In case you are interested to sell their company, BizEx provides also a possibility to contact their broker. By leaving personal contact details and company information, you can request BizEx’s broker to be in contact. 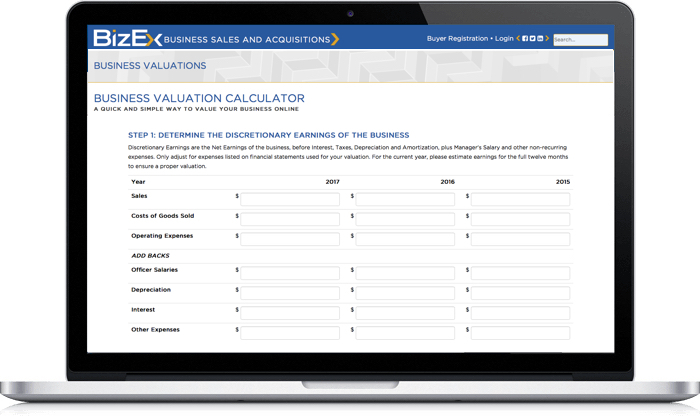 BizEx provides valuation services, such as advisory, for both business buyers and sellers. 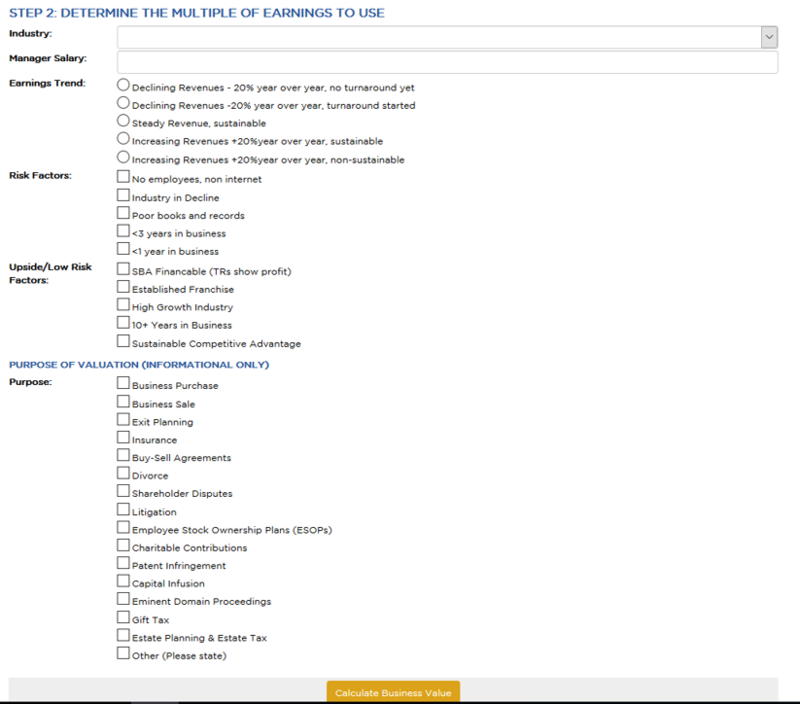 They also provide a free business valuation calculator on their website.